Interesting and unusual visitor to Coventry (Baginton) on 6.9.2000 was this Yak 12 aircraft from Little Gransden airfield in Cambridge,registered LY-AHD it is one of only two in the country. N40386 BASSLER BT67 TURBO DAKOTA CONVERSION,This aircraft visited Baginton on 21.10.2000 for its long distance ferry tanks to be removed whilst on a European sales tour,it returned again on 15.11.2000 to have them refitted overnight and departed the next morning for Oshkosh in the USA where the aircraft are converted to the Turboprop configuration. photograph kindly supplied by Ewen Taylor of Fleet 80 fame. 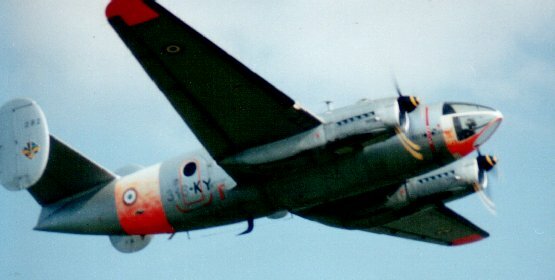 Basler converted Dakota as it appeared at the Farnborough air show on 12.9.92 note the plug insert in the nose section to preserve the aircrafts centre of gravity,this particular aircraft is N96BF. Strong contender for the Dakota prop jet conversion market is this Professional Aviation Douglas Turbo DC-3 registered in South Africa as ZS-LYW,the aircraft also appeared at the Farnborough air show on 12.9.92 it is interesting to compare the detail differences of the two aircraft. Seen here in its original Air Atlantique livery is their DC-6 G-SIXC landing here at Baginton on 25.5.87 both this aircraft and its sister aircraft G-APSA are kept busy on freight work and still earn their keep,the major work of removing the outer wing sections on G-SIXC was recently undertaken to replace the wing attachment bolts. Archive photograph by Barry Clay. Now becoming a common sight over Warwickshire are the new Grob 115E aircraft operated by the University Air Squadrons,the aircraft replace the Bulldog which has done sterling service with the RAF. Earlier colourscheme used on Ken Broomfields Baxterly farm strip based Thruxton Jackaroo G-AOIR ex RAF Tiger Moth R4972 and one of only two now flying in the UK.Many Jackaroos have been re-converted back into Tiger Moths hence the rarity,Ken tells me that the lateral response is improved to that of the Tiger but the rear of the cockpit is very draughty for the passenger! The annual Wings and Wheels event will be held this year on 5-6 th August when vintage aeroplanes and cars will be in abundance. 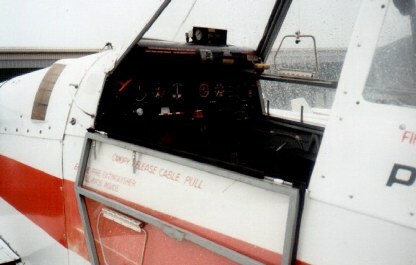 photograph at the PFA Rally at Cranfield in 1986 by Barry Clay. 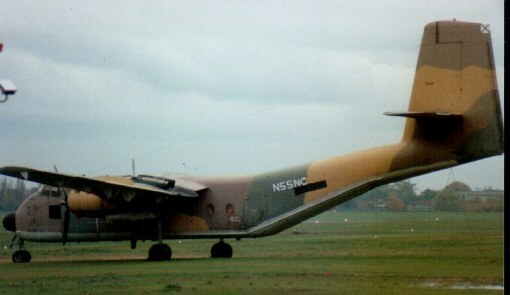 This Beech A.36TP Bonanza N250TP is owned by jockey Willy Carsan of Minster Enterprises and is a frequent sight away from its base at Tatenhill where Dave Peace took this photograph on 20.6.99,what looks like a radar pod is on the starboard wing and a laminar flow device just outboard of this. 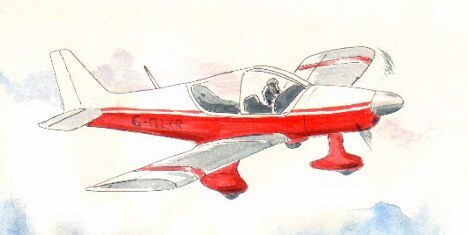 Wellesbourne resident of the month is this lovely little Whittman Tailwind G-BDBD ,this American homebuilt is active every weekend and is enjoyed by everyone who fly her.picture by Dave Peace at Wellesbourne on 11.4.99. XS235 Comet 4C seen here landind at Fairford has been civilian registered as G-CPDA (G-APDA was a BOAC Comet 4C) previously based at Boscombe Down it has recently been ferried to Bruntingthorpe and is being overhauled for a possible flight to Lasham airfield where the aircraft is no stranger as Dan Air once operated a fleet of them and maintained them here. Thanks to Dave Peace for providing this lovely picture. photograph supplied by Dave Peace. Lovely atmospheric shot of the original DH.88 Comet G-ACSS 'Grosvenor House' seen together with Comet 4C XS235 in the background whilst at a Hatfield open day on 1.7.89.
picture courtesy of Dave Peace. 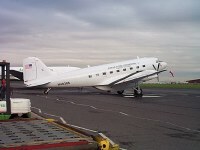 Beech Kingair C90 aircraft are fairly common visitors to Coventry but this example is a freighter registered OY-JRO of Danish Air Transport with a non standard unusual colourscheme. WELLESBOURNE RESIDENT OF THE MONTH-G-BBMO Chipmunk 22 photographed at Wellesbourne on 11.4.99 by Dave Peace earns our aircraft of the month feature.This Polish designed initially bulit in Canada design served in many air forces of the world including our own RAF,it soldiers on in civilian service and still enjoyed by those who appreciate real aeroplanes with its well harmonised controls and fine aerobatic capability. Cirrus SR20 N184CD is now based at Turweston and has been veru active of late,the aircraft represents the first production aircraft to have a built in parachute recovery system,the aircraft received a full FAAtype certificate in the US recently,Cirrus Design,Dulluth,MN,55811-1548 kindly supplied this photograph of a machine similar to the one based in the UK. 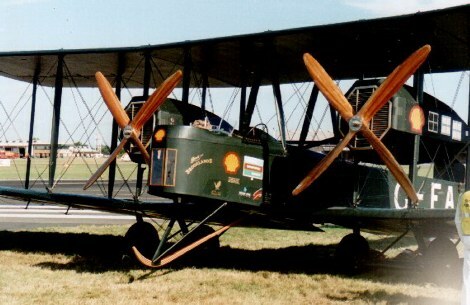 This Thomas Morse Scout replica G-MJTD was to have been the first of many world war one replicas to have been built in a factory at Baginton Airport in 1988,this lovely prototype was built by DEGA Engineering who were originally based in Cambridge moving to the Midlands,the aircraft was said to have flown at least once,photographed on 3.4.88 in the old Sir W.G.Armstrong Whitworth black hangar at Rock Farm it was later transferred to a new building Northside of the airfield but was not seen again shortly after that. 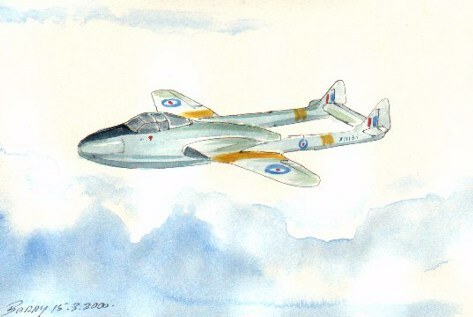 WORLD AVIATION -Subjects not directly applicable to this area but of interest to aircraft enthusiasts worldwide. N55NC was one of several Caribous that transitted through Baginton during 1995-96 on behalf of New Cal aviation of Malta who refurbish these aircraft,this one is ex Spanish Air Force T.9-19 still visible on the fin,it arrived 11.10.94 from Potiers,France,departed to Stapleford Tawny on 5.9.96 previously attempting the trip on 39.96 but abborted due to an oil leak returning to Baginton. F-BTGV AERO SPACELINES SUPER GUPPY PRESERVED AT BRUNTINGTHORPE HAS ITS FOUR ALLISON TURBOPROP ENGINES REMOVED BY A TEAM OF COMPANY ENGINEERS ON 29.9.96,THESE VALUABLE POWERPLANTS WILL BE RETURNED BACK TOTHE USA. 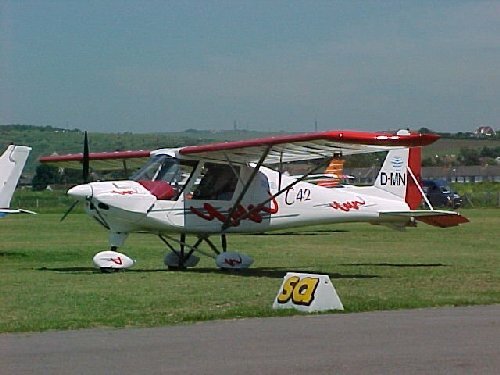 D-MNWO C-42 Light aircraft on a UKsales tour,composite structure.. 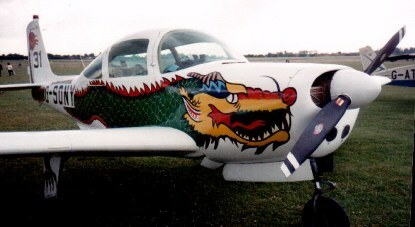 Magnificent paint job on this rare Aerocommander 200D G-SONY was shown at the Popular Flying Association Rally at Cranfield in 1989. ANSETTS beautifully painted A320 illustrating the Sydney 200 theme,some 1,000 individual stencils were used to build up the paintwork consuming hundreds of man hours,the effect is stunning. Still used throughout the world as a workhorse and as popular as ever is the veritable Bell 47G, despite the age of these wonderful machines they continue to give good service for crop spraying,forestry,pylon and police work,hands up how many of you remember the 'Whirlybirds' television programmes which is where my own love for these helicopters started! picture courtesy of Art Limbridge. 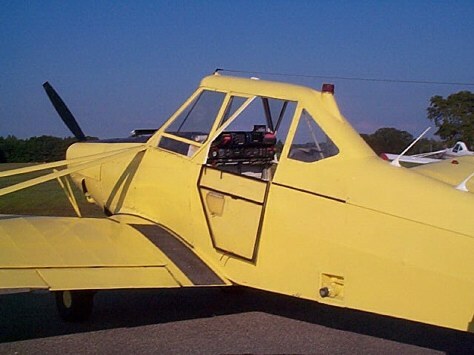 This unique twin seater Piper Pawnee 235D is the only one in the world,all of the modifications were carried out locally by an aviation agricultural company in the United States,the aircraft is currently up for sale. Picture courtesy of Dr Steven Jacobs. 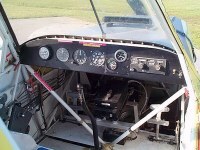 The twin cockpit layout of this unique aircraft can be seen to good effect here,quite spacious layout,the machine fills a big gap in instructing future ag pilots. HAPPINESS IS A CUB IN A GREEN PASTURE! On Tuesday 2nd January 2001 the first production aircraft designed to have a built in parachute for recovery visited Coventry Baginton airport,the aircraft a Cirrus SR20 N184CD paid a brief one hour visit to the airport. 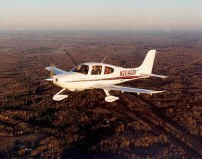 Cirrus Design,Dulluth,MN,55811-1548 who kindly supplied the photograph above of an aircraft similar to the one that visited Coventry. 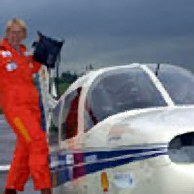 Polly Vacher landed safely at Birmingham International airport on 17.5.2001 after covering over 47,000 miles on her solo flight around the world flight,landing in the company of two RAF Harriers one being flown by Flt Lt Matt Jarvis she then made the final leg to Enstone airfield in Oxfordshire to a welcome from some 300 people,Pollys story will be told in greater detail over the coming weeks in her web site,congratulations on an amazing flight! MOTHER OF THREES ROUND THE WORLD FLIGHT. fifty six year old Polly Vacher left Birmingham International airport for her 22,000 mile flight around the world,leaving BHX on 12.1.2001 the aircraft being used is a Piper Dakota G-FRGN,Polly will visit 17 countries including India,Australia and large parts of the USA.The flight will mark the smallest light aircraft to be flown by a woman pilot around the world solo,the aim of the flight is to raise money for the Royal International Air Tattoo flying scholership scheme which enables disabled people to reach their full potential. 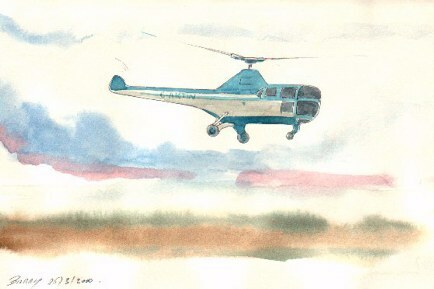 This delightful study comes by kind permission of John Dunbar/Imagecare shows Sqd Ldr Pinner formating with the tiny Piper Dakota at the start of the round world flight from Birmingham airport. PEGGY BUYS AN HAWKER HURRICANE! Recently reported was the purchase of a genuine Hawker Hurricane by Peggy Vacher,the status of this machine is not certain at the time of writing or to what use she intends to put the aircraft to-watch this space! 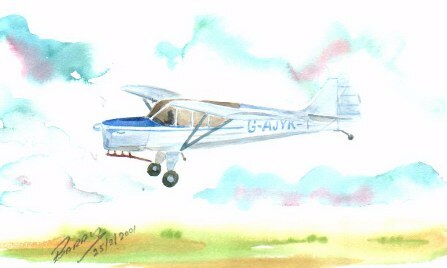 This Cessna Skywagon ii N2596K flew around the world in 1991 shown here at Wroughton whilst stopping over for the PFA Rally. This beautiful replica Vickers Vimy NX71MY/G-EAOU made an incredible vintage journey around the world in 1994 making a forced landing along the way,it is seen here at Farnborough whilst undergoing some modifications there on 11.9.94. 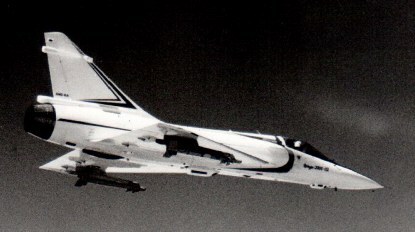 The support aircraft was for the above flight was a GAF Nomad A18-408 from the Royal Australian Air Force Support wing it is shown here also at Farnborough on 11.9.94. 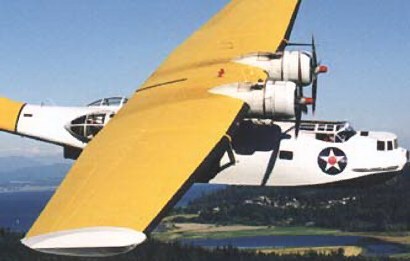 This lovely PBY-5 N4582U displayed as 434077 was discovered at Heritage Park,Kirtland AFB,New Mexico,USA by Dave Peace whilst touring the States in 1997,the photograph was taken on 28.4.97. 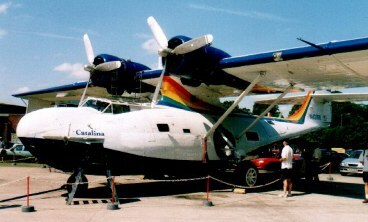 This is the four engined one and only Bird Innovator conversion of the PBY Catalina,photographed at Albuquerque,New Mexico by Dave Peace on 27.4.97 whilst on his American Aviation sight seeing tour,the aircraft has two Lycomings mounted outboard of the standard engines to improve take off performance in hot and high conditions,once registeded as N5907 it is now N5PY with c/n 417. 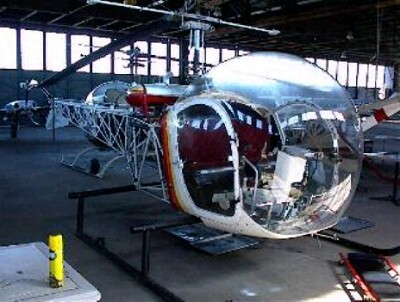 The aircraft has been up for sale for some time now. Hughie Greens PBY-5A G-APZA photographed at Southend in 1959,the aircraft was ex N94574 c/n 1619 and never gained its British c of a being scrapped in November 1960. Airworthy examples of Catalinas are becoming very rare birds,a few being written off in recent years,here is a lovely view of an American registered example. 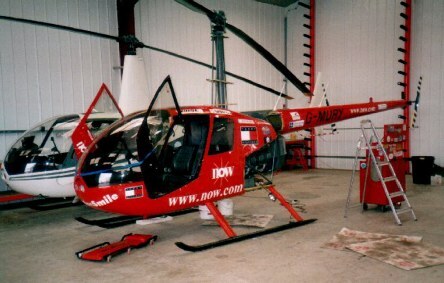 N423RS with new colourscheme. Dave Peace pic. LX-JUL Short SC.7 Skyvan series 3A-100 is now registered as G-PIGY and based at RAF Weston-On-The-Green,operated by Hunting Aviation it was photographed here at the RIAT Fairford on 21.7.95 by Dave Peace. Air France Concorde has now flown back to its Paris Charles De Gaulle base after spending two weeks ground testing at a military air base at Istres,near Marseille,to renew faith in the safety of the aircraft and gain back its certificate of airworthiness investigators have been trying to determine the precise cause of a crash to an Air France aircraft on 25.7.2000 whilst taking off from Charles De Gaulle with the loss of 113 lives,it is understood that a metal strip lying on the runway gashed one of the Concordes tyres which sent rubber fragments into the fuel tanks starting a fuel leak at a crucial stage in the take off causing a fierce fire and bringing the aircraft down onto some buildings. The concern for the aircrafts safety has been instrumental in bringing the UK and French authorities together to test new safety measures for the aircraft. 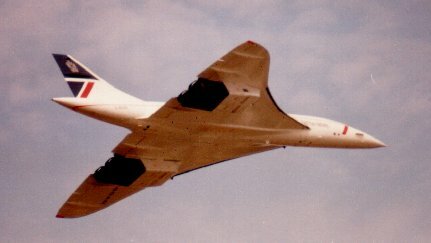 G-BOAD Concorde seen in happier circumstances at a Farnborough air show. 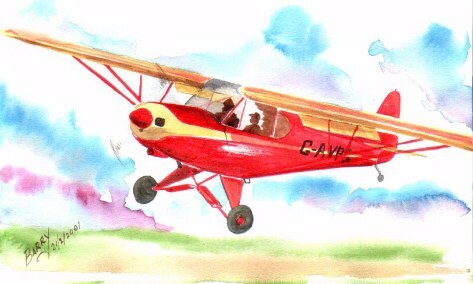 This incredible aircraft is the small scale version of the beautiful Beech Starship aircraft produced in small numbers,I am indebted to Beech for allowing me to use this publicity photograph of the aircraft in flight,at least one aircraft was imported into the UK for use by a racing car manufacturers Reynhard in Oxford and examples have been seen at the Farnborough airshow. 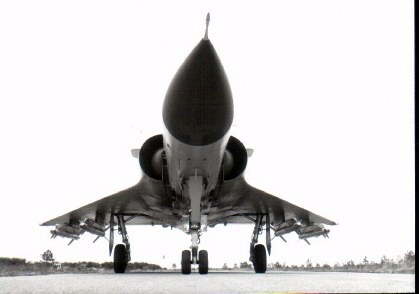 In flight shot of early Mirage 2000 fitted with the Matra 550 Magic series of missiles under the wings,colourscheme of this aircraft was all white with red trim as it appeared at the Farnborough airshow. Both of these aircraft were direct contenders for Air Ministry specification T.7/45,this called for a three seat advanced trainer powered with a turboprop engine,in both cases the aircraft were redesigned to utilise the plentiful Rolls Royce Merlin engine and the Athena only saw brief service with the R.A.F at the Royal Air Force flying college Manby,15 aircraft in service were scrapped in the fifties. 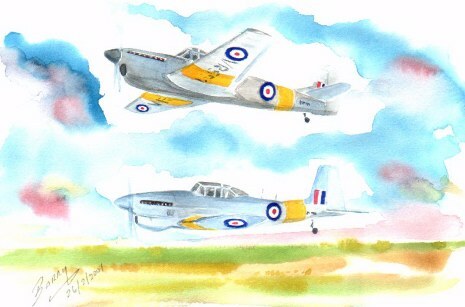 The Balliol won the coveted contract but even then only about 60 aircraft were made for use by the R.A.F and the Fleet Air Arm replacing the role of the famous Harvard trainer,about a dozen went to Ceylon to equip its air force,despite the small numbers built it was an important time in the history of the post war trainer and the Balliol helped to fulfil this task. The products of the Auster aircraft company based at Rearsby in Leicester were good solid honest aeroplanes,these aircraft are prized today by their owners and many have been rebuilt by Tony Neale at Leicester East airfield,Tony worked for the original Auster company and worked with them right up until their demise as the Beagle aircraft company,the inportation of American built aircraft was just too much for the company and despite a last minute bid to produce the Airedale it did not succeed and another chapter in aviation history in the UK closed. 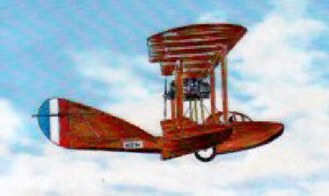 Armstrong Whitworth FK.3 built by Hewlett and Blondean a few became civil,G-EABZ,G-EALK,G-EAEU,G-EABY which were cancelled orders. 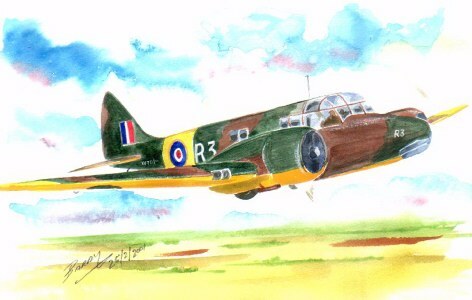 Designed to Air Ministry specification T.23/26 and evolved from the civil Airspeed Envoy,the Oxford first went into service with the Royal Air Force in January 1938.Some 8,000 Oxfords were built by other subcontractors besides the Airspeeds production line and companies such as De Havillands,Percival Aircraft company and the Standard Motor Co were involved with the added production facilities. 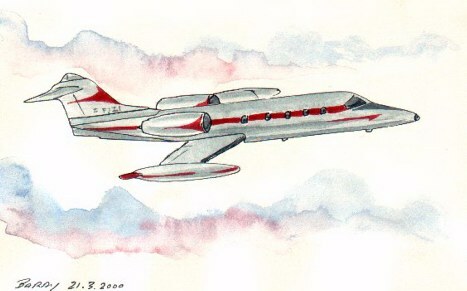 The aircraft was fitted with a variety of Armstron Siddeley Cheetah radial engines and also the Pratt & Whitney Wasp Junior engines in the later versions.